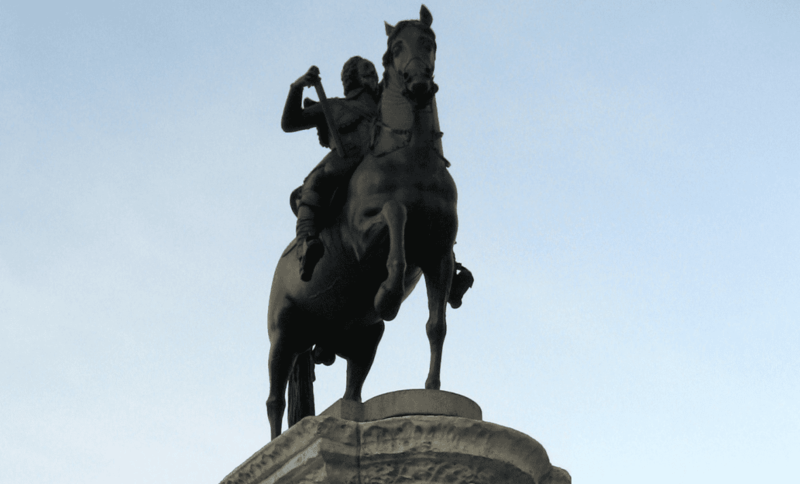 This famous statue of the Naval commander is an icon of London along with the 4 lions at the base of the column. The base depicts the moment that this national hero was slain in his moment of victory. Only the façade facing Trafalgar square remains from the original building design. While we may look upon it favourably today, It was highly unpopular for most of the 19th Century. It is a building of compromises: two public rights of way used to run through the site which is why there are two porticoes, and these had to incorporate the short columns from the demolished Carlton House. 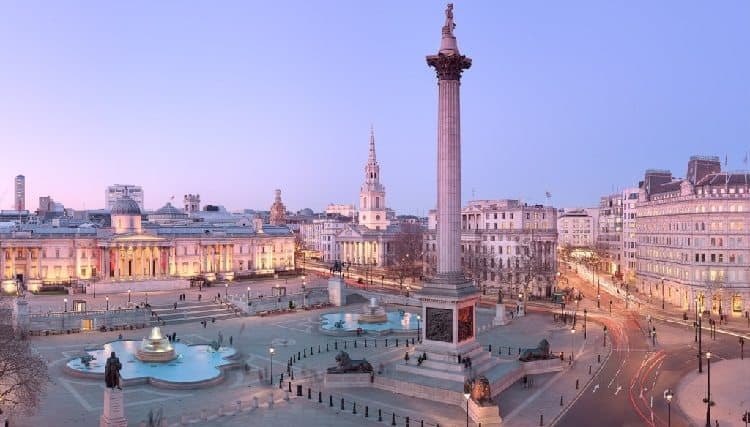 The re-landscaping of Trafalgar square, which added the northern terrace, did much to fix the problem of it’s squat appearance. Now sharing a wall with the National Gallery, the National Portrait Gallery was the first portrait gallery in the world when it opened in 1856, it moved to its current site in 1896. Interestingly, the first portrait in the collection was the famous Chandos portrait, the image widely assumed to be the best image of William Shakespeare. The spectacular market hall, built in 1830, housed the famous fruit market until the market moved in 1974 to ease traffic congestion. Local outcry saved the structure from being demolished and it reopened as a shopping centre in 1980. The familiar frontage on Bow Street has been the nucleus of the Royal Opera House since it was unveiled in 1858, even through all of its redevelopments. The previous 2 buildings were destroyed by fire, but they have all tried to stay true to their predecessors on the site. This large parade ground has been used at least since the time of Henry VIII, when it was used for jousting. Surprisingly, for most of the 20th Century, it was used as a civil service car park until a security issue led to it being left clear and restored to public use. Admiralty Arch provides access between the Mall and Trafalgar Square and is so named as it adjoins the Admiralty Building. Commissioned by Edward VII in memory of his mother, Queen Victoria, he unfortunately did not live to see it completed. Edith Cavell is an interesting character. She was a famous Great War nurse that saved the lives of wounded soldiers from both sides and aided the escaped of Allied troops; it is still contentious as to whether she was indeed involved with espionage. She was executed by the Germans for treason, an unusual reason given the fact she was not German, and while the Germans maintained that they were justified in their actions, this act was perhaps their greatest propaganda own-goal. A train bearing her name carried the body of the unknown warrior from Dover in 1920. This Cenotaph can be found on the St. James’ Park side of Horse Guard’s Parade. The five bronze soldiers represent the five Guards Regiments and are cast from captured German guns. Initially a memorial to the Great War, it bears bomb damage from the Second World War which has been left unrepaired as ‘honourable scars’. This statue was actually commissioned to go into Charles I’s garden, but the civil war and his subsequent execution put paid to that idea. Fortunately, the metalsmith that was ordered to destroy it didn’t, it remained hidden until the restoration when it was put in it’s current location. Its site is actually where the England’s largest Eleanor Cross was located (destroyed by Cromwell), and this is legally the centre of London, with all measurements being from this spot.